The first designs for the Gräshoppa series by Greta Magnusson Grossman originated in the 1940s and included the classic table and floor lamps. The iconic design consisting of the signature steel shade was transferred to a lamp to be suspended from the ceiling by Gubi. While the Gräshoppa floor lamp has become a concept for design lovers all over the world, Gubi is reintroducing the table light and the pendant light from the 2013 collection. 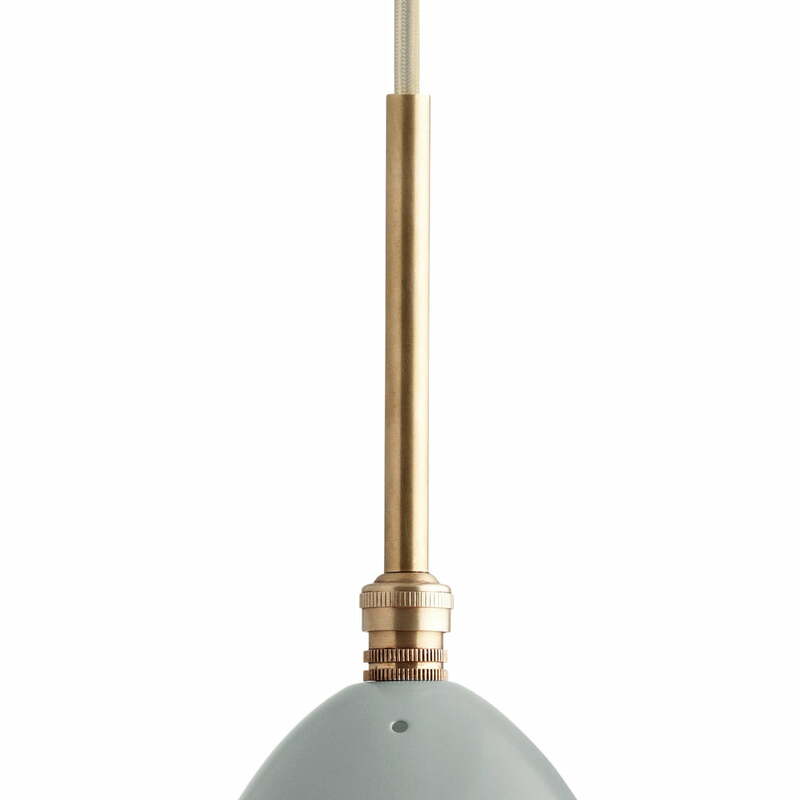 An interesting fact about the Gräshoppa pendant lamp: Magnusson Grossman never made it. Since the sculptural Gräshoppa lampshade had never been seen from below, Gubi decided to show the design in a new light. The stylish timelessness and the lightness of the design looks beautiful suspended from the ceiling. The Gubi Gräshoppa pendant lamp looks just as contemporary as its siblings, the floor lamp and the table lamp. The lamp is made of powder-coated aluminium and emits direct light, making it especially well-suited above the dining or living room table. The first designs for the Gräshoppa series by Greta Magnusson Grossman originated in the 1940s and included the classic table and floor lamps. The iconic design consisting of the signature steel shade was transferred to a design to be suspended from the ceiling by Gubi. Gräshoppa Pendant Lamp by Gubi: The lamp is made of powder-coated aluminium and emits direct light, making it especially well-suited above the dining or living room table. 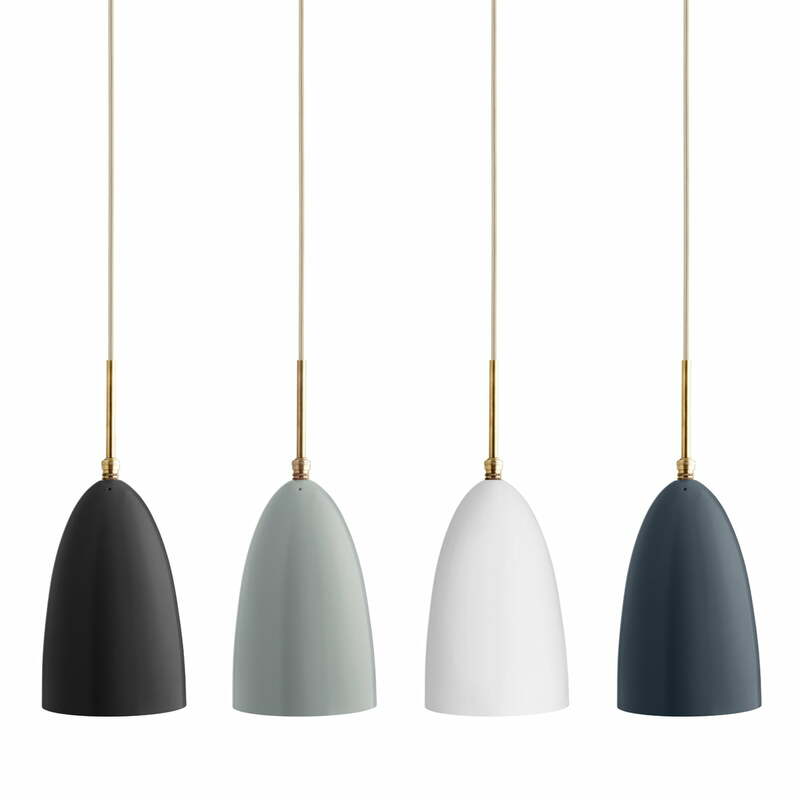 Gräshoppa pendant lamp by Gubi in various colours. The stylish timelessness and the lightness of the design looks beautiful suspended from the ceiling.